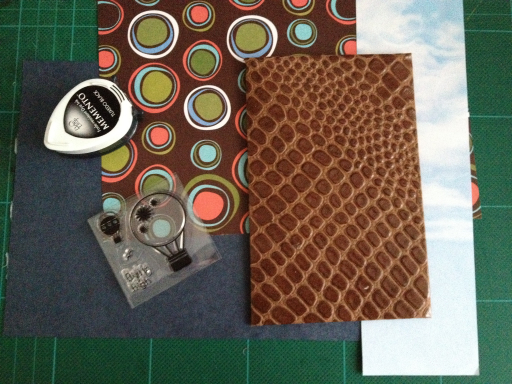 Making a birthday card for my father in law who's retiring. 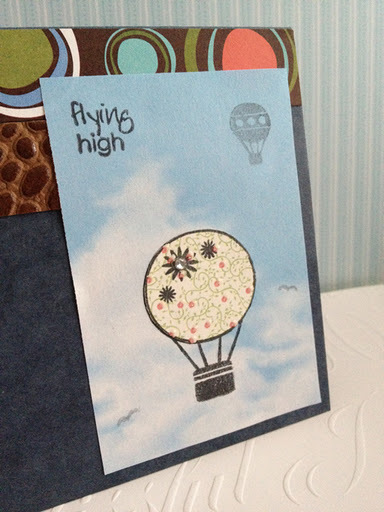 Was thinking that the Flying High ballons from my favorite magazine Craft Stamper symbolizes freedom. 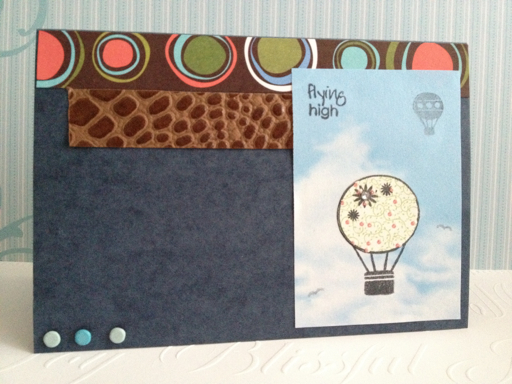 A close-up on the stamping.